Evoking serenity and tranquility of the sea, March’s birthstone, Aquamarine, is one of those gems in which you can’t help but gaze see images of water cascade through your mind’s eye. It is not a coincidence that the word itself derives from the Latin word “aqua”, which translates to “water or marina”. Usually, light in tone and fluctuating between green and blue hues, the color becomes deeper and more intense the larger the stone is. The aquamarine is a favorite of Nelle and Lizzy, providing an opportunity to customize attention-grabbing statement pieces. Aquamarine’s mythology spans history and it was believed to possess lots of magical and protective powers by ancient peoples, including the power to protect sailors on the water and warriors headed into battle. It was even thought to be able to fix conflicts between friends or start new relationships when carved into figurines. Aquamarine has also been believed to harness healing powers, dispensed by medicine men to cure infections and heal eye ailments, and worn by people in the Middle Ages as a talisman to ward off being poisoned. 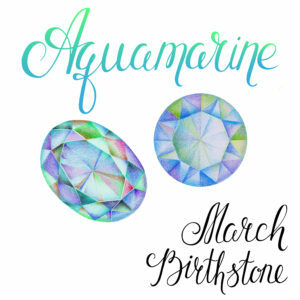 In fact, even today, aquamarine is believed by psychics and Tarot card readers to calm people’s mental state and can act as an aid for meditation by producing inner peace and harmony. In addition to being the March birthstone, aquamarine has a tradition of being gifted to brides as a symbol of everlasting love. Some even gift it in order to reinvigorate or reawaken love between two people who have been together for a long time, and surprisingly, it is the selected gemstone to celebrate the 19th wedding anniversary! Since it inherently contains little to no yellow tinge, it can also be paired with different colored metals or other gemstones, since it retains its solitary brilliance. The Swarovski crystals Nelle & Lizzy uses for the March birthstone are a hypnotic crystal blue and can be put into a variety of styles or shapes—from a rectangle, square to round—and can be selected in gold or silver. Do you have someone you love or important in your life with a March birthday? 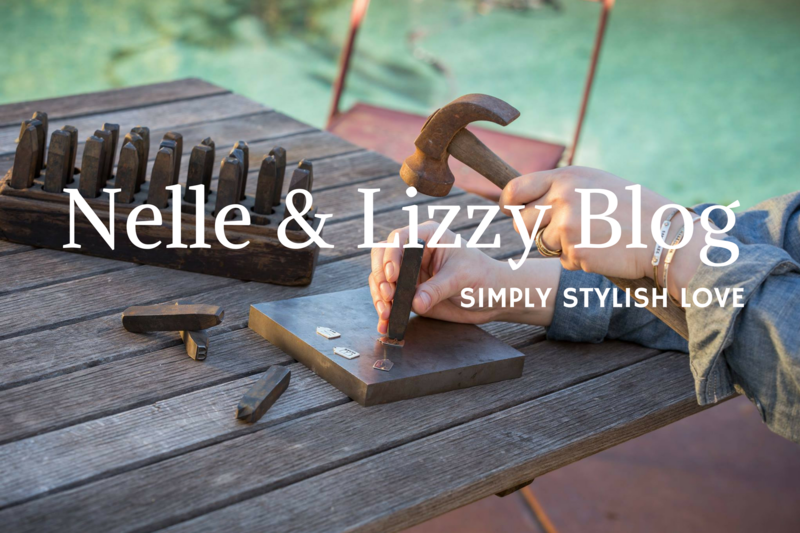 Nelle & Lizzy custom jewelry makes the perfect gift! Shop our site for different styles of stackable rings, bars, and charms with birthstone jewelry.